Once considered a supplement exclusively for extreme athletes and bodybuilders, protein powder has gained widespread popularity among those looking to gain muscle, lose weight or even improve over-all health. In fact, the potential benefits of protein powder extend far beyond the gym, as research shows that it may help with everything from improving body composition to enhancing our immune system. Protein powder is a common supplement that provides a concentrated amount of dietary protein from either animal or plant-based sources. Most people take protein powder looking to gain muscle and maximize fat loss. However, protein powders can also be a useful way to increase protein intake for those who may struggle to meet their body’s needs, such as older adults or vegans and vegetarians. In addition to supplying extra protein to your daily diet, protein powder benefits many other aspects of health as well. In fact, several types are high in fiber, vitamins and minerals and have been linked to a wide range of health benefits such as lower cholesterol levels, better blood sugar control and improved muscle to fat ratio. In addition, protein powder is available in a wide array of different flavors and can be incredibly convenient and versatile. This type of protein powder is made by extracting protein from whole food sources, resulting in a final product that contains 60 to 80 percent of calories from protein with the remaining calories from fat and carbohydrates. Protein isolates are further filtered to remove much of the fat and carbohydrates, resulting in a more highly concentrated form of protein powder. In general, protein isolates typically contain between 90 to 95 percent protein. This form of protein powder undergoes a process that breaks the bond between amino acids, creating a type of protein that is more easily absorbable by your body. Within these different forms’ protein powders can be derived from a variety of different animal or plant-based sources. Whey is a type of protein found in milk. More specifically, it is the liquid that separates from the curds during the cheese-making process, resulting in a final product that is high in protein. However, it may also contain lactose, a type of sugar found in milk that can be difficult for certain people to digest. Therefore, whey protein isolate is the best whey protein option if you are lactose intolerant, as the lactose content is significantly decreased during processing. Whey is a quickly digested protein rich in branched-chain amino acids (BCAAs). Leucine, one of these BCAAs, plays a major role in promoting muscle growth and recovery following resistance and endurance exercise (1, 2). Whey protein may be the right choice for you if you’re looking to increase muscle mass and improve muscle recovery after an intense workout. It’s also sometimes considered the top protein powder for weight loss because it can help curb cravings and improve body composition. Casein is a type of protein found in milk. Unlike whey protein, however, it’s digested much more slowly within the body, helping to decrease muscle breakdown. Casein forms a gel when it interacts with stomach acid, slowing down stomach emptying and delaying the absorption of amino acids into the bloodstream. This results in a more gradual exposure of the muscles to amino acids, reducing the rate of muscle protein breakdown. (15). However, one study suggests that when calories are restricted, casein may have an edge over whey in improving body composition during resistance training. The study followed overweight men who consumed a diet providing 80 percent of their calorie needs. Some took casein protein and others were given whey protein. 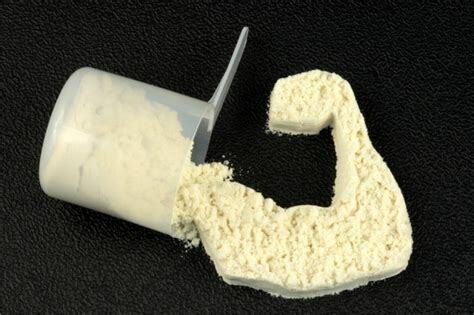 Casein can help increase fat loss and build muscle for those looking to tone up. It can also increase metabolism, allowing you to burn more calories throughout the day to help with weight loss. Eggs are well-known for being an excellent source of high-quality protein. Of all whole foods, eggs have the highest protein digestibility-corrected amino acid score (PDCAAS). Like all animal products, eggs are a complete protein source. That means they provide adequate amounts of the 9 essential amino acids your body can’t make itself. Additionally, egg protein could be a good choice for people with allergies to milk protein who prefer a supplement that’s based on animal protein. Egg protein may be a good choice for you if you’re looking to increase lean mass while decreasing fat mass. Egg protein is also considered a good protein powder for weight loss because it can help curb appetite and improve body composition. Pea protein powder is relatively new and especially popular among vegetarians, vegans and people with allergies or sensitivities to dairy or egg proteins. It’s made from the yellow split pea, a high-fiber legume that contains high amounts of all the essential amino acids except for methionine. Pea protein is also particularly rich in branched-chain amino acids. Though pea protein powder shows promise, more high-quality research is needed to confirm the results of these studies. Pea protein works well for those looking to increase muscle growth while also curbing cravings and decreasing appetite, making it a contender for the best protein powder for weight loss. When paired with a healthy, well-rounded diet, it may also benefit other aspects of health, such as heart health. Hemp protein powder is another plant-based supplement that is gaining popularity. Although hemp is related to marijuana, it only has trace amounts of the psychoactive component tetrahydrocannabinol (THC). Hemp is rich in omega-3 fatty acids and several essential amino acids. However, it is not considered a complete protein because it has very low levels of the amino acids lysine and leucine. Plant-Based: Hemp protein powder is often considered one of the best vegan protein powder options because it’s totally plant-based and can be enjoyed on nearly any diet. Hemp protein powder is perfect for those looking to boost protein intake to gain muscle mass and strength while also reaping the nutritional benefits of the hemp seed, including its high fiber and omega-3 fatty acid content. Some protein powders contain a blend of plant sources to provide complete protein with all the essential amino acids. Plant proteins tend to be digested more slowly than animal proteins, due in part to their high fiber content. Although this may not be a problem for many people, it can limit the amount of amino acids available for immediate use after exercise. Adding digestive enzymes to the mixed-vegetable protein supplement led to a faster appearance of amino acids in the blood that was comparable to whey protein. Aids in Weight Loss: Adding a scoop of mixed plant protein powder into your smoothie can do double duty by increasing your protein intake and kickstarting weight loss as well. If you’re looking to lose weight and improve your body composition, mixed plant protein powder is a good plant-based alternative to whey protein. It also comes with several added health benefits for those who may want to simultaneously improve heart health and lower blood sugar as well. Not all protein powders are created equally. And not only are many pumped full of fillers and added ingredients, but they often contain misleading labels, making it impossible to tell what you’re really getting in each serving. In fact, recent testing has found that many popular brands of protein powders actually contain less than half of the amount of protein listed on the label. These tests have found that many companies use a practice called “amino spiking” meaning that they use cheap filler amino acids to up the total protein content on the label. So how can you skip the scams and make sure you’re getting the best bang for your buck? Pay very close attention to the ingredients listed on the label and skip the supplements that add extra amino acids or fillers like maltodextrin or artificial sweeteners. Instead, opt for naturally sweetened protein powders with minimal ingredients and be sure to always purchase from reputable retailers. Adding protein powder into your routine can enhance your results at the gym and make it easier to meet your protein needs throughout the day. Certain protein powder supplements may also come with other benefits, such as better heart health, improved immunity and a decreased appetite. However, protein powder should not be used as a replacement for protein from whole food sources. Protein-rich foods such as meat, fish, eggs and legumes not only supply a good amount of protein in each serving, but they also pack in tons of other important vitamins and minerals that your body needs to thrive. Finally, remember to always buy from a reputable retailer and look for products with minimal ingredients and fillers to make sure you’re getting the best protein powder possible.